The following piece is a guest post and does not necessarily reflect the opinions of this publication. A few hours after after Sean Spicer, the White House press secretary, compared Syrian President Bashar Assad to Adolf Hitler, saying, “We didn’t use chemical weapons in World War II…You had … someone as despicable as Hitler who didn’t even sink to using chemical weapons,” the media speculation began. Where did Spicer get the idea to compare Assad to Hitler? The question of how political rhetoric travels across media platforms goes far beyond the Trump administration. Ali’s tweet was picked up later that afternoon by NJ.com in a report about the social media criticism following Spicer’s statement. 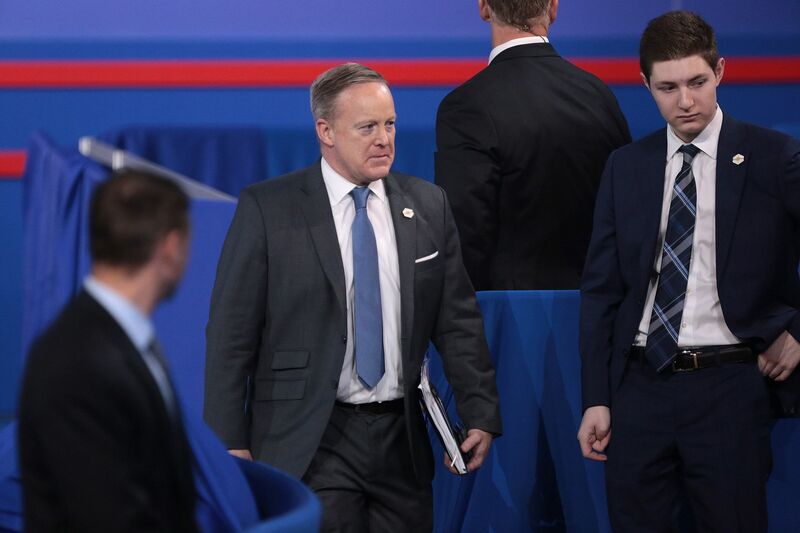 At 4:50 p.m., Charlie Warzel, a reporter for BuzzFeed, posted a piece hypothesizing that the Fox Business News interview might have been the inspiration for Spicer’s statement. Of course only Spicer himself knows if the Fox News report inspired his statement, which he eventually apologized for after several hours of harsh criticism. After all, he is certainly not the first public official to run into trouble when making statements about Hitler. In an era where news no longer solely arrives on newsprint on front doorsteps, tracing the provenance of a statement, idea, story, or report across media platforms–social media, television, news websites–has become a common pursuit. This has been, perhaps, fueled by the president, who has made such references himself. As a library, the Internet Archive can help. Our Wayback Machine preserves websites online, with more than 286 million websites saved overtime. And our TV News Archive provides an online, public library with 1.3 million shows and counting. Here we have the original source for many types of statements by public officials: news conferences, appearances before congressional committees, appearances on TV news shows, and more. The 60-second segment format allows for editing your own clips up to three minutes long and makes them shareable on social media and embeddable on websites. For example, in February, Trump made a reference at a Florida rally about Sweden: “Look at what’s happening last night in Sweden. Sweden, who would believe this? Sweden. They took in large numbers. They’re having problems like they never thought possible.” Fact- checkers reported that nothing had happened in Sweden the night before. Trump later tweeted, however, that his statement about Swedish problems was inspired by Fox News report. Several weeks later, Trump credited a “talented legal mind” on Fox news as the source for his March 2017 tweet accusing former President Barack Obama ordering wiretapping of Trump tower during the presidential election. The question of how political rhetoric travels across media platforms goes far beyond the Trump administration. Media researchers are developing methodologies to track messages and stories as they travel across the news ecosphere. Understanding these phenomenon is essential in figuring out effective ways to improve overall media literacy and fight the spread of misinformation. As an early experiment in making such research easier, we’ve been developing hand-curated collections of statements by public officials, starting with the Trump Archive and now branching out to creating archives (still in development) for the Congressional leadership on both sides of the party aisle: Sen. Majority Leader Mitch McConnell, R., Ky.; Senate Minority Leader Charles Schumer, D., N.Y.; House Speaker Paul Ryan, R., Wis., and House Minority Leader Nancy Pelosi, D., Calif..
We’re working now to develop partnerships to use machine learning approaches, such as speaker identification and natural language processing, to make our resources more useful for researchers. Ultimately, we’ll improve search to make it simpler to search across our different collections and types of media. Nancy Watzman manages editorial content and relationships for the Internet Archive’s Television News Archive. She’s worked for a number of political watchdog and reform organizations, including the Sunlight Foundation, Every Voice, the Center for Responsive Politics (opensecrets.org), and the Center for Public Integrity. Nancy is co-author, with Micah Sifry, of Is That a Politician in Your Pocket? Washington on $2 Million a Day (John Wiley & Sons, 2004). She has also contributed to The Buying of the Congress (Avon Books, 1998), Harper’s Magazine, The Nation, The New Republic, and The Washington Monthly. She is also director of strategic initiatives for Dot Connector Studio.